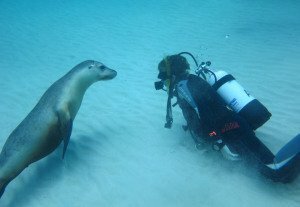 Learn to Dive in Perth with one of the best and most respected scuba diving schools in W.A. The SSI Scuba Diver course takes you to a new dimension in underwater adventure. Our experienced Dive Instructors will guide you through the Scuba Diver knowledge and skill development training, while making sure you are having a safe and enjoyable time. After all, learning to dive is supposed to be FUN! By the end of your training you will receive your Internationally recognised SSI Scuba Diver certification which will enable you to enjoy diving in the marine environment safely to 12 metres, with a certified Professional Guide. You can also upgrade your certification to Full Open water with only two additional days of training. Ask the store staff, or your Instructor for details. Compare what’s included in our course and you’ll see why we are the fastest growing dive training organization in WA. Internationally recognized course through SSI. 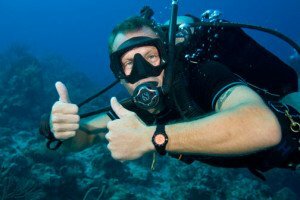 Experienced SSI Instructors and Divemasters. Certification process done online, to enable immediate certification approval. Quality training through an SSI Instructor Training Centre. We use the latest online theory tools, so you can study at home and reduce classroom time. Various languages are also available. We will forward you the e-learning signup procedure, once your booking confirmed. After the course, many of our graduates want to get straight back in the water. Join the “Kickstart Dive Program” every second Saturday, which includes a certified and insured Divemaster or Instructor supervision, tank and weight belt hire – Cost ONLY $59.00 per dive. Mask, snorkel and fins. Due to the importance of having a mask that fits correctly for scuba diving we recommend students invest in a good quality, correct fitting mask to use on the course. We have special packages in store at heavily discounted prices and can price match with anything found on the Web. THIS MONTHS SPECIAL: FREE PAIR OF BOOTS WITH EVERY PACKAGE: We have SPECIAL package deals only available to dive course participants. These include a quality silicon mask, dive fins, snorkel and neoprene dive boots. These products are close to wholesale prices and represent excellent value for money.